How do we stick to our monthly budget? How can we manage debt? Do you really need a will? 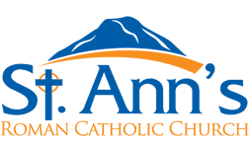 Join the Family Group on Thursday, February 7th at 7 p.m. in St. Ann’s gym for a presentation regarding finances and estate planning – information that every family should be aware of. Joseph ven der Buhs (Certified Financial Planner) and Emily Anderson (Lawyer at Linley Welwood LLP) will offer advice and support for families in this area. Q and A will follow their presentations and refreshments will be served. Join us for a night of fellowship as we learn how to set our families up for success.